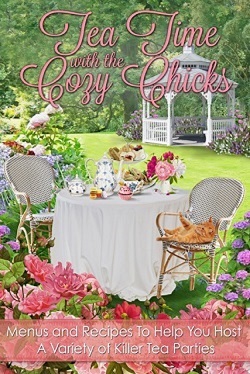 Cozy Chicks: DO YOU LOVE TEA? SO DO FAMOUS FICTIONAL DETECTIVES! DO YOU LOVE TEA? SO DO FAMOUS FICTIONAL DETECTIVES! Whether you are a devoted reader or a world-class novelist, you probably enjoy a good “cuppa” from time to time. And if you enjoy British cozies, the odds are spot on that you’ll recognize your favorite brew (everything from Ceylon to Darjeeling) in your reading. Mystery writer Alexander McCall Smith (The No.1 Ladies Detective Agency) admits to being addicted to tea, and his protagonist, Precious Ramotswe, enjoys a pot of rooibos tea while struggling with a case. 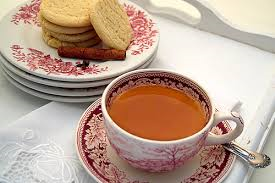 Smith reveals that “there has always been tea” in his life and black tea was served several times a day at home during his years in southern Rhodesia. He believes that tea offers a sense of comfort in times of crisis. 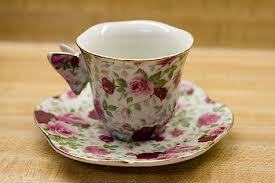 The next time you open a cozy mystery, be sure to pour yourself a nice cuppa to enjoy with it. And for those of you who appreciate a sweet treat with your drink, try a Yorkshire scone (recipe, care of Tea Time With the Cozy Chicks, below). · 1/3 cup of milk—I actually use a little more than this. I start with 1/3 cup and then add a tablespoon more, at a time. No more than ½ cup milk total. I couldn’t get the dough to hold together with the 1/3 cup amount. Add the eggs, 1 at a time, then add the flour mixture and the milk. Sprinkle the raisins/dates, etc over the dough and gently fold them in. Drop by “mounds” on a baking sheet Bake for 20 minutes. Note: I tried rolling these out and using a cookie cutter, and they weren’t as good. I think I handled the dough too much and it made it tough. The original “drop” recipe is all you need. Good luck, I think you will like it! My mother-in-law served these with home-made peach jam. Hope this inspires you to brew a nice cup of tea (or a whole pot!) and curl up with a cozy mystery! !